Here's a great U-Tube overview of last Saturday's great cleanup in North Hollywood. 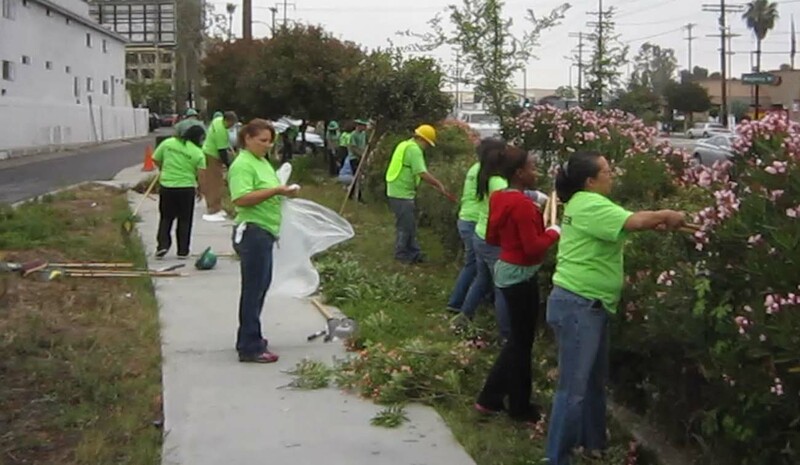 Tons of street trash and shrubbery trimmings were hauled away after this great crew of volunteers were finished. 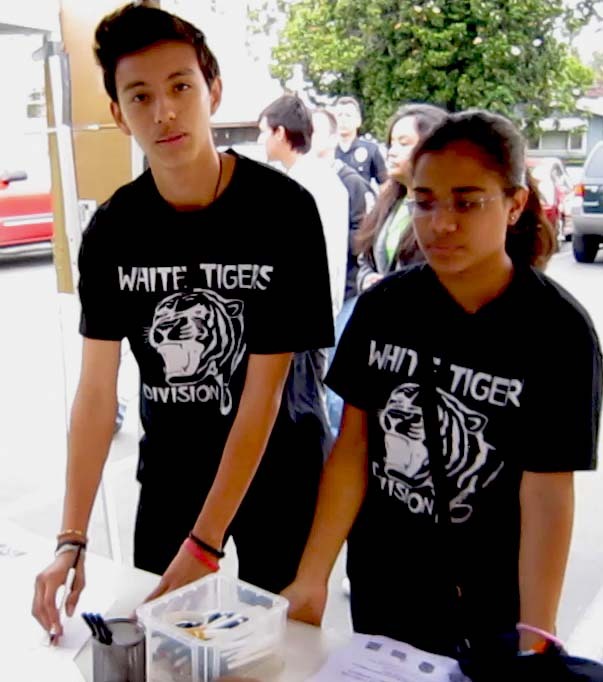 Later they were treated to lunch, soft drinks and a great neighborhood band. Volunteers from Christ Chapel, the Midtown North Hollywood Neighborhood Council and The Museum of the San Fernando Valley assisted to make the cleanup day a great success. 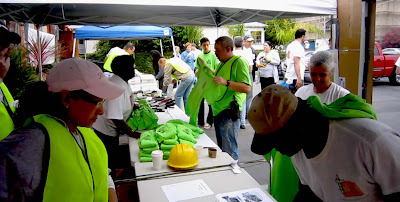 Youthful volunteers arrive to don their green shirts and to clean up their community. I asked them who planned to be our future mayor and our city council member?